How many bugs have you — or your teams — missed that were clearly easy to spot? Testers approach all phases of testing hampered by their own biases in what to look for, how to set up and execute tests, and how best to interpret the results. Understanding how your biases, preconceived notions, and ability to focus your attention are the keys to managing cognitive bias in test design, test execution, and defect detection. In this July 11 webinar at 11am PDT, Gerie Owen will give testers and test managers an understanding of how testers’ mindsets and cognitive biases influence their testing. With over 25 years of test-driven development experience to tap into, Gerie will provide tips for managing your biases and focusing your attention in the right places throughout the test process so you won’t miss that obvious bug. This webinar presentation uses principles from the social sciences — such as Kahneman’s framework for critical thinking and Chabris and Simons’ findings on attention, perception, and memory — and short, enjoyable exercises on preconceived notions. With Gerie’s help, improve your individual and test team results. Why we aren’t as smart as we think, i.e., how we develop biases and preconceived notions. How biases and preconceived notions negatively impact our approach to testing throughout the test process. How to design a test approach to effectively manage the way we think during the test process. Ways managers can increase their teams’ effectiveness by improving their focus. Tips for finding the obvious bugs you are missing. Become a top-performing tester by understanding your biases. 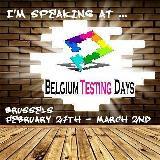 With Gerie Owen’s tips, you’ll learn the keys to great test design, test execution, and effective defect detection. Register today! This entry was posted in Uncategorized on June 26, 2017 by gerieowen.